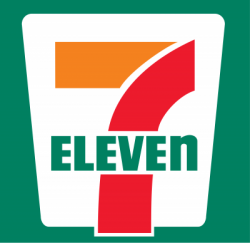 7-Eleven has retained Hanold Associates for their Head of Human Resources Field Operations search. Ashley Schiele and Sonia Nagra are leading the search for this Dallas, Texas based role. 7-Eleven is a retail store that has defined the phrase ‘convenience store.’ The company’s origins in 1927 were as an ice house that began selling regular consumer items like bread and milk. Today, 7-Eleven is the go-to convenience store for food, drinks, fuel, and more. Well known for their recognizable Slurpee and Big Gulp drink they were also the first to offer “to-go” coffee, as well as being open 24 hours. Now the company is pushing through digital initiatives, including apps and quick pay options as well as delivery options, to move into the future. Headquartered in Dallas, Texas, the company has stores in 33 states with approximately 8,670 locations in the United States. In 2018, they purchased 1,030 Sunoco stores—the largest acquisition in the company’s history. Internationally, they have 67,480 stores in 17 countries and plans to expand into India later this year. The Japanese holding company that owns the US operations is publicly traded with a market cap of ¥4.055T, or around $36.3B. The US operations had revenue of approximately $17.75B in 2017. The company has approximately 32,000 corporate employees, even though their business is 90% franchises. 7-Eleven’s culture is based around serving the needs of their customers: to lead, they serve. The focus of the company’s operations is making life easier, and they count on diverse and multi-talented employees to deliver this service. The company allows employees room to move and grow and encourages cross functional learning. As a Top Five Franchisor, they also recognize the need to be consistent and successful for their franchisees which is also aided by their Store Support Center. Reporting into the Senior Vice President of Human Resources, Scott Hintz, the Head of HR Field Operations will be a key member of the human resources organization at 7-Eleven. He/she will be tasked with delivering human capital solutions to impact and improve the lives of employees at all levels of the organization. This executive will also be a strategic thinker who understands how to develop human capital, evolve strong cultural values and build infrastructure and solutions to support a high growth company. Leveraging a team of 80, he/she will drive and ensure the alignment of 7-Eleven’s human resources strategies and business objectives while remaining ahead of the curve regarding technology to ensure the company’s HR function is best-in-class.